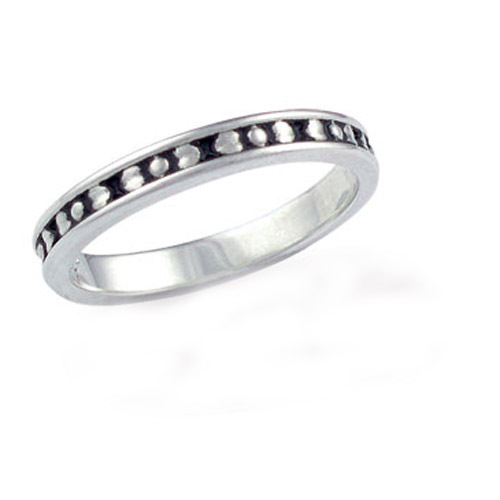 Desc: Landstrom's Black Hills Gold Sterling Silver heart stackable ring. The sides of the ring are flat to stack with other rings. The hearts are mounted along the center with antiquing. Made in the United States of America.